Last Wednesday, TEDxCMU hosted their first event of the year. At the event, the audience saw a diverse group of students speak about a variety of subjects. Jean Daniel Haddad’s spoke about how telling a young boy to “be a man” or “man up” could be a terrible impression for their young minds. When they are taught only to succeed and conquer and fear rejection, this can result in the negative effects that we are now seeing in mainstream media and even on campus. Eugene Leventhal’s speech focused on the innovation of technology and how it may be disruptive to the way we see ourselves and our relationships with one another. Drawing upon his personal experiences, he explained that we should combat this by knowing the tools that are at our disposal. This could include elements such as personality, mindfulness, creativity, and so on. Bharath Prabhu spoke about how the small detail of Singapore’s housing guidelines made him a proud Singaporean. Expanding on this small detail, he spoke more about the importance of creating good and equal societies to inspire the younger generation. Finally, Nikita Rupani drew upon her personal experiences of playing soccer with the boys to show how she overcame gender boundaries in a middle eastern country and the lessons she learned from it. This mini event is only a preview for the main event on Sunday, April 1st, so be on the lookout for more information to come! 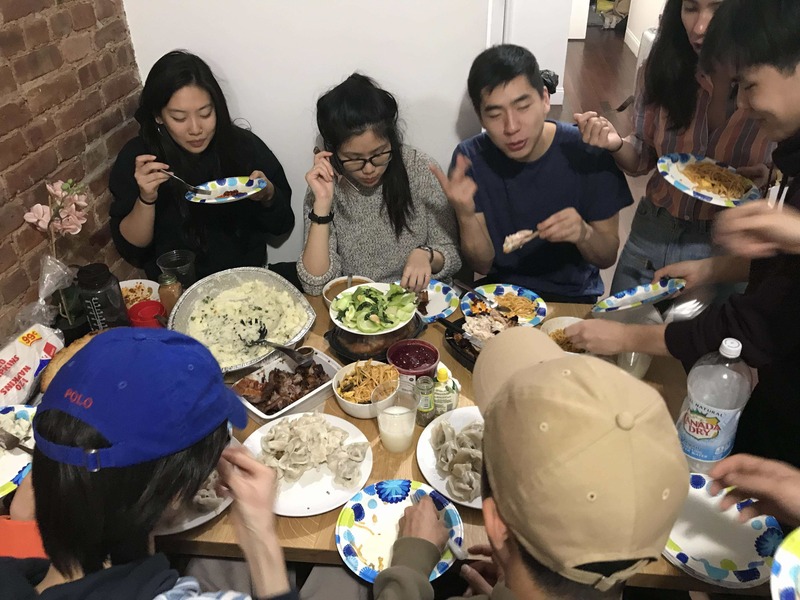 For most people, Thanksgiving is their time off to return home to see family and eat their share of turkey and mashed potatoes at the dinner table. However, many international students just don’t have the luxury to do the same due to the many constraints that they face.